After the Marvel event Annihilation wraps up in 2007, the cosmic superheroes change drastically. 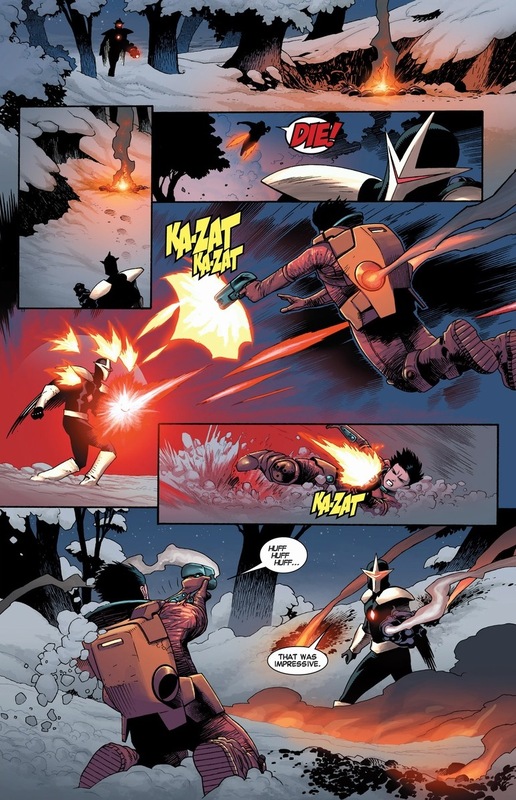 Star-Lord teams up with Rocket Raccoon and Groot for the first time, bringing in Drax, Gamora, Phyla-Vell, and Adam Warlock less than a year later to form the Guardians of the Galaxy. Ronan the Accuser briefly rules the Kree empire. 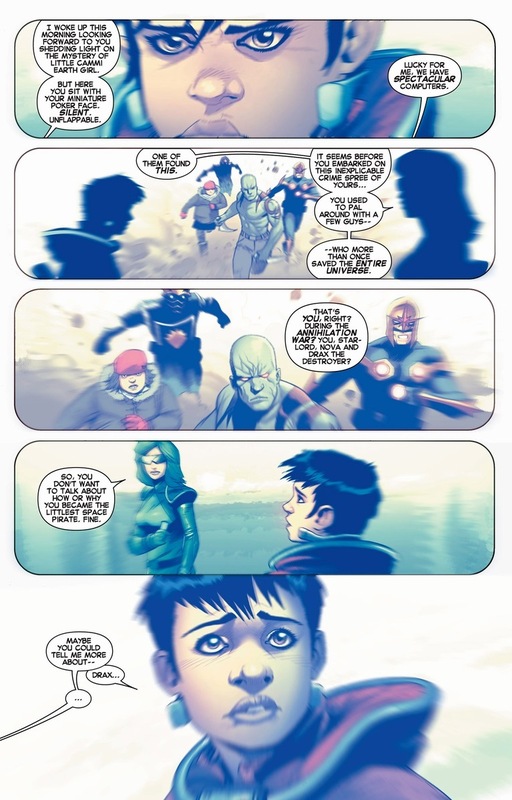 Nova rebuild the entire Nova Corps. 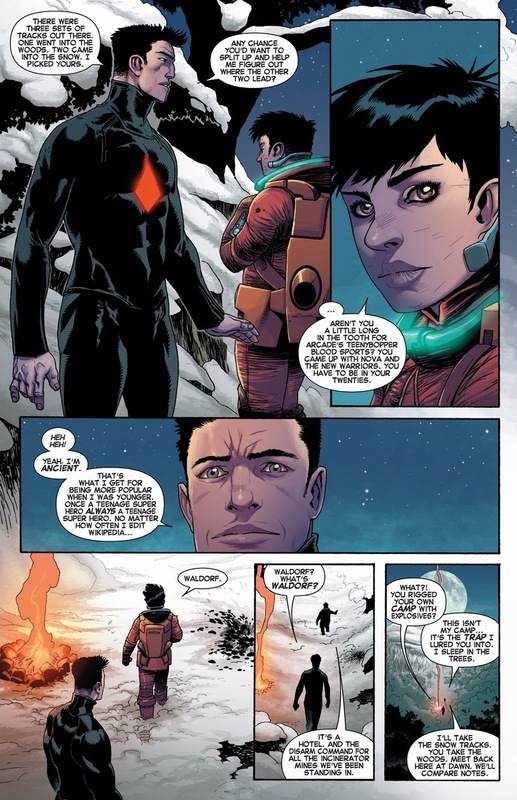 The Shi’ar go to war with the Kree and the Inhumans. Lots of stuff. But no Cammi. She doesn’t show again until 2013. We’ll first take a look at what she’s been up to in Avengers Arena #3, written by Dennis Hopeless and drawn by Kev Walker. Yes, space has been good to the rude little girl we last knew. 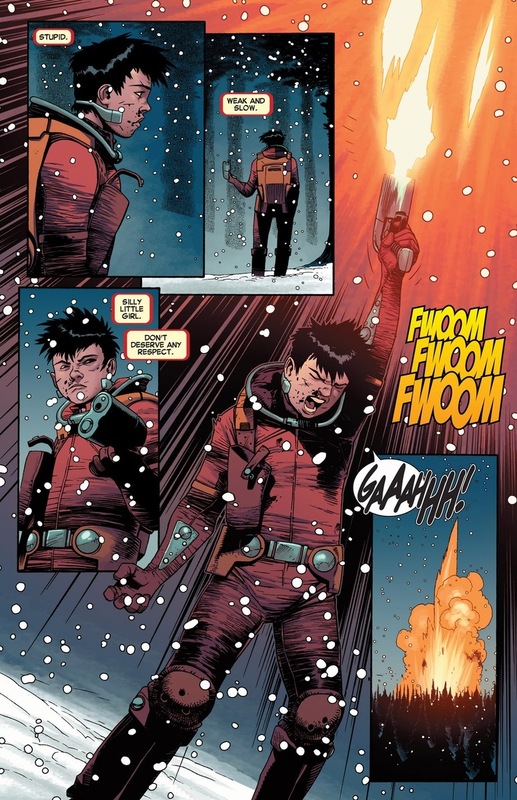 Two years have past in the Marvel universe, our dear protagonist hitting puberty among space pirates and other outlaws. What has Cammi accomplished in those formative preteen years? Well, getting captured by SWORD for one, but it’s not as if we expected Cammi to run an outer space soup kitchen or anything. Her father figure Drax has been too busy saving the galaxy and knifing bad guys to keep an eye on her. 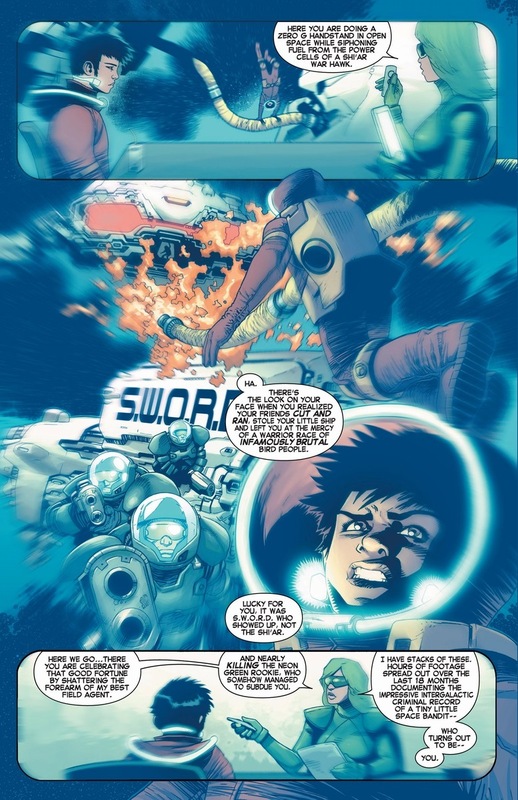 Special Agent Abigail Brand of SWORD acts as Nick Fury for anything outside of Earth’s atmosphere. Brand is also Beast’s girlfriend, just so you know. Want these two lovers’ back story? Of course you do. 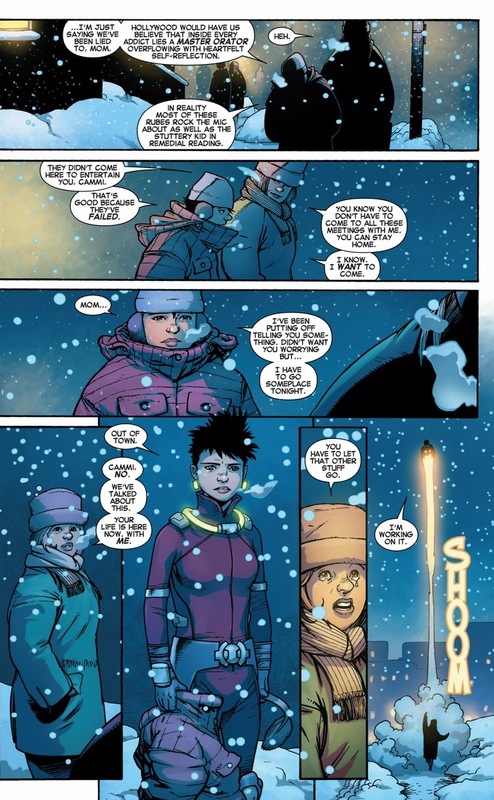 Anyway, y’see, Cammi doesn’t need Drax to continue on that path of her insane fearlessness. 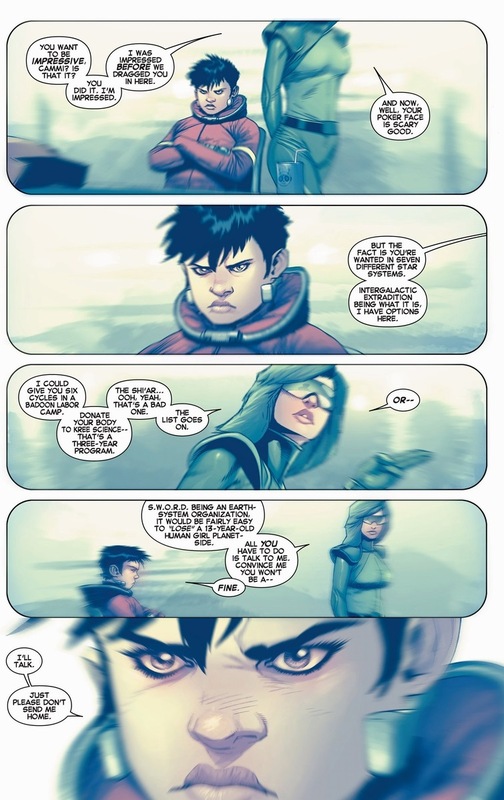 She can finally defend herself beyond provoking Drax into stabbing whoever bothers her. I’m just saying that while normal 13 year-old girls learn math and science at school, Cammi figured out that while in a gymnastic pose, she could steal fuel from an active, patrolling Sh’iar battleship. The girl gets a slightly different education for her precious middle school years when she’s unsupervised. The self-loathing runs deep in this girl. That’s one of the requirements for a successful superhero. For her further adventures as a child with a laser gun against twenty plus teenagers with superpowers, you can read the series. 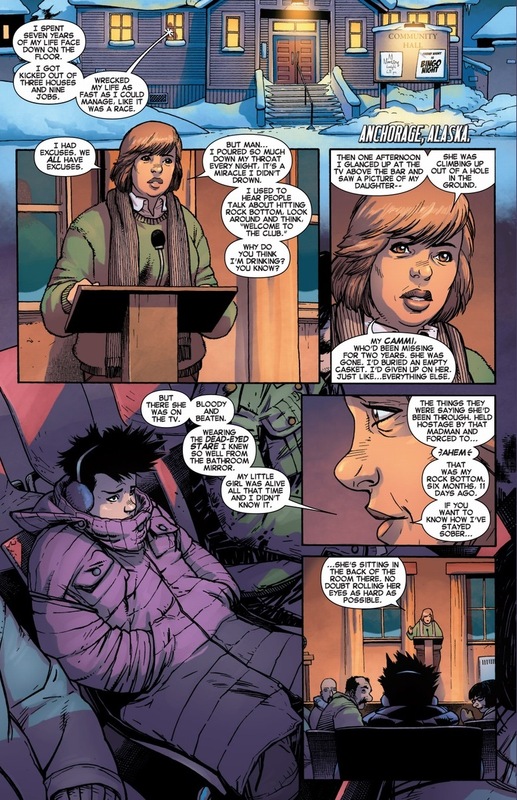 Most importantly, she survives the ordeal, because we should think of Avengers Arena as the prequel to the next step in these PTSD-laced kids’ journey towards Avengers Undercover, the ongoing series she currently stars in. Because what happens after a bunch of children have to murder each other? 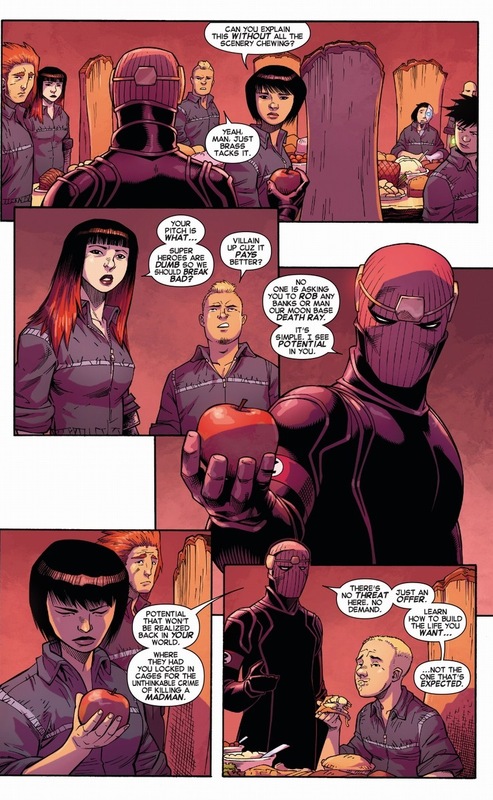 Remember the reason Hank Pym gave for founding Avengers Academy in the first place: these students — all tortured by Norman Osborn during Dark Reign — were the most at risk of becoming supervillains. No more Hank Pym now. 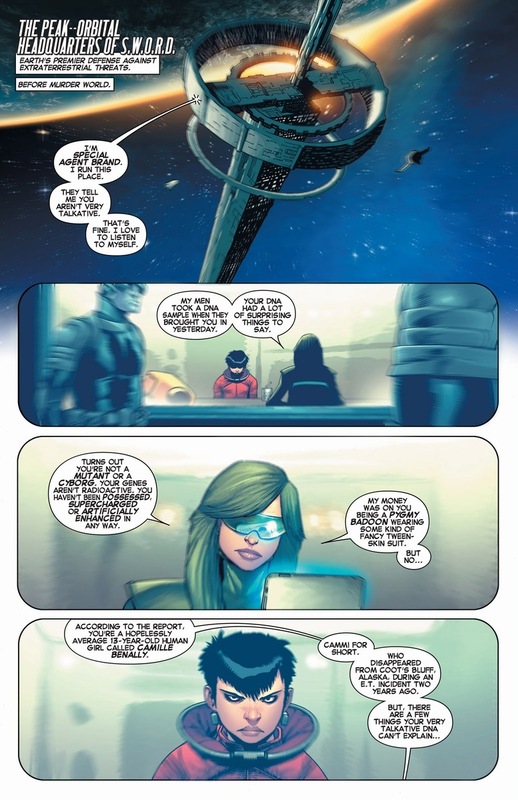 Let’s take a quick look at two scenes from Avengers Undercover #1 and #4, written by Hopeless and drawn by Walker. So where is she going with all her Avengers Arena buddies? Well, I’m not going to tell you, but I will say that it rolls into a giant cluster of vengeance, bad decisions, and lose-lose situations. 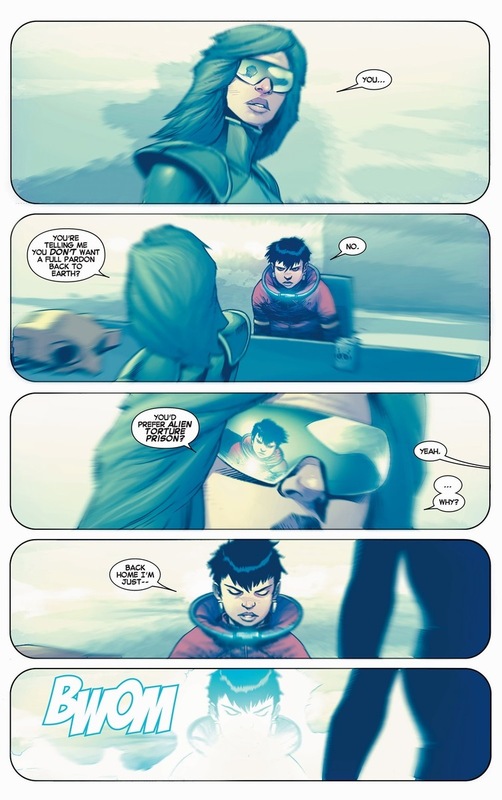 Look, the kids are too young for the big time superhero teams, none of their school exist anymore, and the idealized adults expect these kids to go back to their normal lives doing normal things after they saw half of their peers die violently on Arcade’s island. Arcade didn’t smother them with pillows — they all exploded or were hacked apart or blown away. 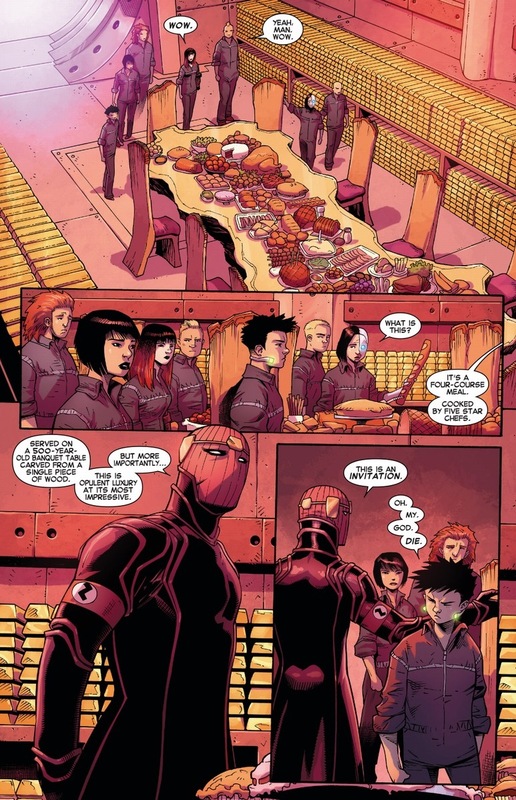 So as Avengers Undercover progresses past some vengeance, bad decisions, and lose-lose situations, there’s still one organization willing to take these kids in. To teach them. To provide for them. To care for them. 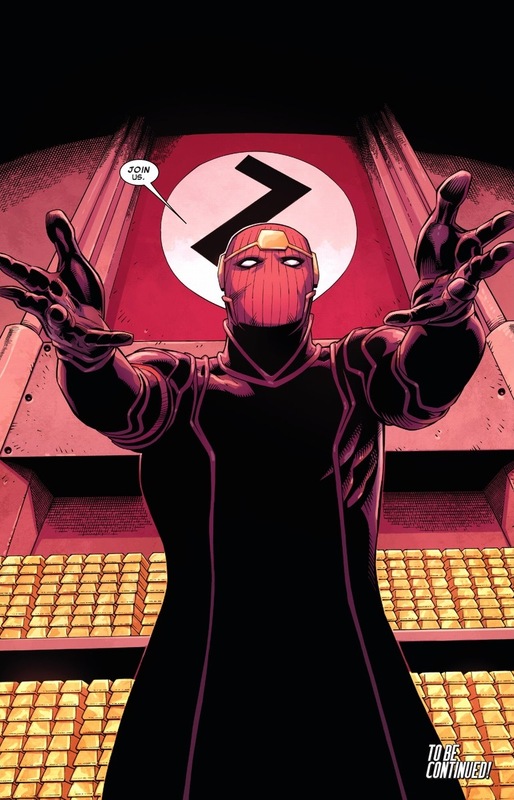 That’s right: the Masters of Evil. Three issues left until the series concludes. But Cammi’ll be in my heart forever.